Summer has finally arrived, and everyone wants to spend it on the beach. 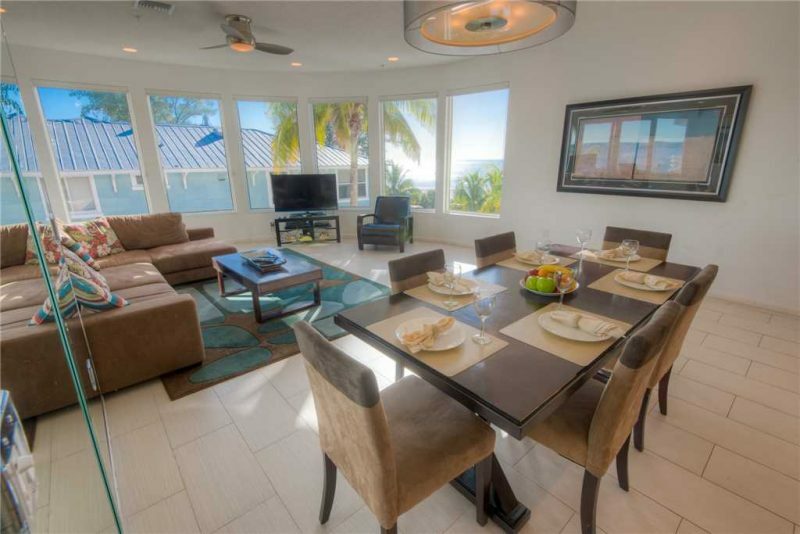 For the months of July and August, Anna Maria beachfront vacation rentals are a hot commodity. Though some are booked through until fall, a number of fantastic properties have availability over the summer months. Choose to stay in the quiet north end of Anna Maria or the bustling south end in Holmes Beach or Bradenton Beach. But, wherever you stay, be sure to secure a rental with beach access and a Gulf view to get the most out of your holiday. Below is a list of a few of our favorite vacation rentals right on the beach – all with vacancy at some point during the warm, summer season. If you’re planning a group or multi-family trip this summer, this incredible private residence is worth checking out. This luxury beachfront home has four bedrooms and almost as many bathrooms. It has a professional chef’s kitchen with modern appliances to help make your family vacation even more enjoyable. The house has a private saltwater pool with a hot tub, and a number of balconies at different levels. 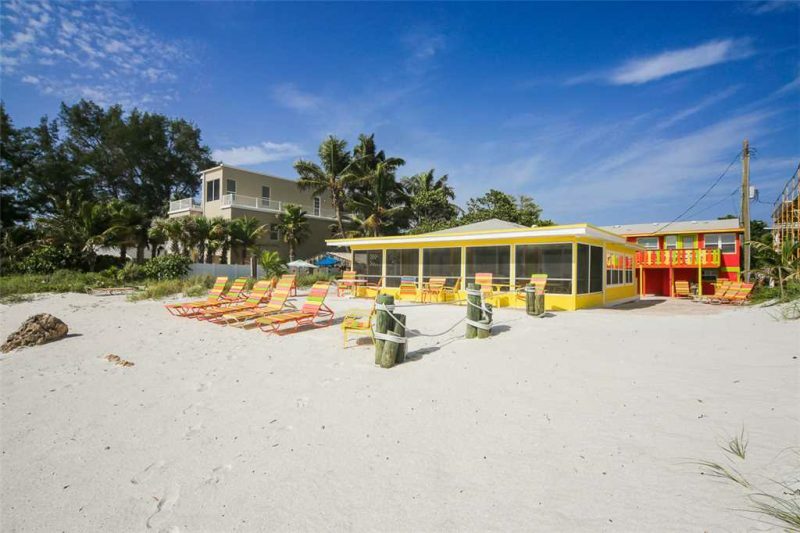 Enjoy private, white-sand beach access, beach chairs, cooler, and umbrella. With a big pool and even bigger one out front, this house offers the best of both worlds. This intimate two-bedroom, one-bathroom cottage takes you back to simpler times. Brown wood flooring, white paneled wood walls, and a small deck with chairs makes this the perfect private getaway for a couple or small family. The cottage has a queen bed and two twins, and sleeps up to four people in rooms with large windows. The cottage has a minimal, but fully equipped kitchen. The cottage features wireless internet, a television, and a DVD player, as well as a washer and a dryer. This elevated cottage is right on the beach, offering quick access to the north end’s secluded beaches, as well as the shops and restaurants of Pine Avenue. The white sands right outside the front door is just one of the benefits of this bright yellow seaside cottage. It has a big screened-in porch with comfortable furniture looking over the Gulf of Mexico – the perfect place for a morning coffee, an afternoon snooze, or an evening chardonnay. 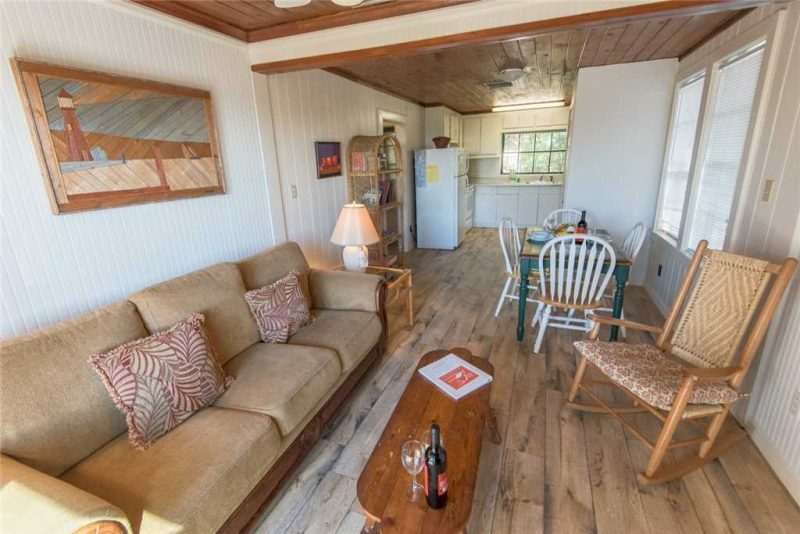 The cottage has two bedrooms and two bathrooms, sleeping up to four people. White Sands is located just south of bustling Holmes Beach, halfway down the island this means easy access to both north and south ends, as well as close to the amenities of the city of Holmes Beach. Hop on the free Anna Maria Island trolley that runs up and down the island from morning to evening – it stops right outside this cottage. This low-rise condo has a panoramic Gulf view from the open concept living room and kitchen. The condominium has three bedrooms and two bathrooms, with a modern Italian-tiled kitchen with a bar. The unit comes with wireless internet and a flat-screen TV, and is walking distance to shops and restaurants in Holmes Beach. The unit has a spacious balcony and a large, shared heated pool with a railing and wide steps leading down into the water. The unit is located right on the waterfront, connected to beautiful Coquina Beach by a short path through the grasses. 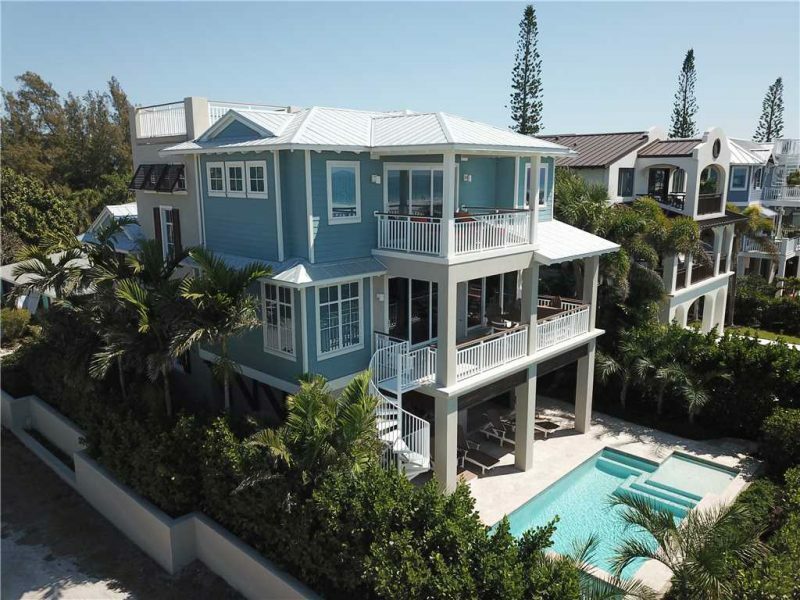 For more information on summer availability for these incredible Anna Maria Island beachfront vacation rentals, give us a call today at 941-778-4178. From palatial beach homes to seaside cottage to modern condos, we have a variety of rentals available to help you spend the upcoming summer season on the beach.